Baseball great, Tony LaRussa, was born Anthony "Tony" La Russa, Jr. born October 4, 1944, in Tampa, Florida. Tony LaRussa is a manager in Major League Baseball, currently with the St. Louis Cardinals. In 2004 he became the sixth manager in history to win pennants with both American and National League teams; in 2006 he became the first manager ever to win multiple pennants in both leagues and became one of only two managers to win the World Series in both leagues. With a 2,461-2,146-3 (.534) record as a manager (through September 28, 2008), he is ranked third all-time for total number of Baseball All-time Managerial Wins list, trailing only Connie Mack (3,731) and John McGraw (2,763). He is also third all-time for games managed (4,610), trailing only the above two managers, with Mack leading at 7,755 (3,731-3,948-76), and McGraw at 4,769 (2,763-1,948-58). He is one of only three managers to be named Manager of the Year in both of baseball's major leagues. Tony LaRussa has 1,141 wins and 963 losses (.542) with 1 tie [in 1998] as manager of the Cardinals since 1996 through September 28, 2008. 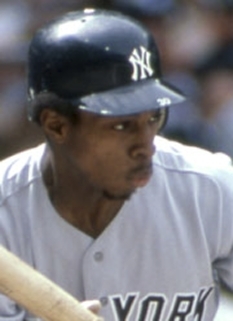 He was 522-510-3 (.506) with the Chicago White Sox 1979-1986, and 798-673 (.542) with the Oakland Athletics 1986-1995. His 2,000th game managing the Cardinals came on May 31, 2008 (in a loss to the Pirates), with a record of 1,088-911-1. 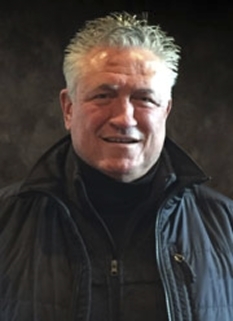 Some sources give La Russa two extra wins, however; Rene Lachemann is credited with two managerial wins for the Cardinals during the 1999 season while La Russa was hospitalized for an ulceration in his stomach lining. However, the baseball rules give the temporary acting manager no credit for the win (or loss) when standing in for the real manager because of absence due to illness, and La Russa correctly gets the credit for those two wins. On August 22, 2007, he passed Bucky Harris to become the third-highest manager of all-time in total games managed in baseball history in his 4,409th game; behind only John McGraw (Mgr. 1899, 1901-1932 for 33 years; 4,769 games) and Connie Mack (Mgr. 1894-1896, 1901-1950 for 53 years; 7,755 games). La Russa became the leader in wins by Cardinals' managers on August 31, 2007, when the Cardinals defeated the Cincinnati Reds 8-5, passing Red Schoendienst (1,041-955) to take the title. Over the next six seasons, La Russa spent most of his time in the minor leagues, making it to the now-Oakland A's roster in 1968 and 1969. He spent the entire 1970 season with the big club, and then late in 1971 the A's traded him to the Atlanta Braves. His final big league playing stop was with the Chicago Cubs, where he appeared as a pinch-runner in one game, on April 6, 1973. 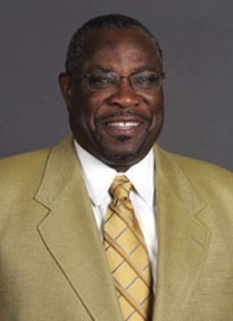 He also spent time in the organizations of the Pittsburgh Pirates, Chicago White Sox, and St. Louis Cardinals. In 132 total games played, (40 in the starting lineup), he went 35-for-176, a batting average of .199. His 23 walks pushed his on base percentage to .292. He had 7 RBI and scored 15 runs. 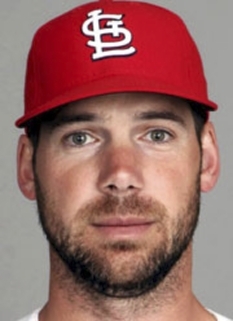 He made 63 appearances at second base, 18 at shortstop, and two at third base, fielding .960 in 249 total chances and participating in 34 double plays. Before becoming a manager, he earned a Juris Doctor (J.D.) degree from Florida State University, but never entered the legal profession. La Russa has been quoted as saying, "I decided I'd rather ride the buses in the minor leagues than practice law for a living." He is one of a select number of major league managers in baseball history who have earned a law degree or passed a state bar exam; others include John Montgomery Ward (New York Giants, Brooklyn and Providence, late 1800s), Hughie Jennings (Detroit, 1907-20, New York Giants, 1924), Miller Huggins (St. Louis Cardinals and New York Yankees, 1913-29), Muddy Ruel (St. Louis Browns, 1947), Jack Hendricks (St. Louis Cardinals, 1918, Cincinnati, 1924-29) and Branch Rickey (St. Louis Browns, 1913-15, St. Louis Cardinals, 1919-25, later the creator of the modern farm system in baseball and still later the executive who broke the color line by signing Jackie Robinson), Jim O'Rourke and James Lyman Price. The White Sox gave La Russa his first managerial opportunity in 1978 by naming him skipper of their Double-A affiliate, the Knoxville Sox of the Southern League. 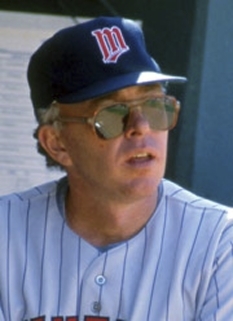 La Russa spent only a half-season at Knoxville before being promoted to the White Sox coaching staff when owner Bill Veeck changed managers from Bob Lemon to Larry Doby. 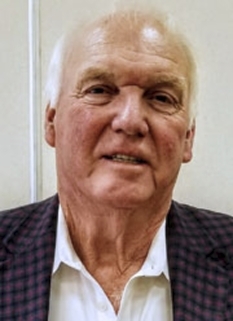 But Doby struggled in the managerial role and was fired at the end of the season; Don Kessinger, former star shortstop of the crosstown Cubs, was named the White Sox' player-manager for 1979, and La Russa was demoted to manager of the Triple-A Iowa Oaks of the American Association. But Kessinger was not the answer, either. The ChiSox were only 46-60 when he was fired and La Russa was summoned from Iowa, two-thirds of the way through the 1979 season. The White Sox played .500 baseball for the rest of the '79 campaign, and La Russa's career was launched. He was named American League Manager of the Year in 1983, when his club won the AL West but fell to the Baltimore Orioles in the American League Championship Series. The White Sox fired La Russa after the club got off to a 26-38 start in 1986. In his first campaign with the Cardinals, in 1996, La Russa clinched the National League's Central Pennant, a feat his club repeated in 2000, 2001, 2002 (his fourth Manager of the Year award), 2004, 2005, and 2006 (the Cardinals also tied for the National League Central crown with the Houston Astros in 2001). He became the first manager to win the award four times. La Russa's fourth Manager of the Year award was arguably the most emotional; La Russa led the Cardinals to the National League Championship Series (where they would ultimately lose in five games to the San Francisco Giants) in a year in which the Cardinals were traumatized by the deaths of beloved Hall of Fame broadcaster Jack Buck and 33-year-old pitcher Darryl Kile just four days later. In 2004, the Cardinals won the National League pennant, accruing a first place overall record of 105-57. After defeating the Los Angeles Dodgers, 3 games to 1, in the National League Division Series, and the Houston Astros, 4 games to 3, in the NLCS, they were swept by the Boston Red Sox in the 2004 World Series. It was their first World Series appearance since 1987. 2006 saw a return to the World Series, this time with a 4-1 victory over the Detroit Tigers, managed by former Cardinal Jim Leyland. The team's 83-78 regular season record is the worst ever by an eventual World Series champion, usurping the 1987 Minnesota Twins' 85-77 campaign. La Russa is now the second manager to win a World Series in both the American League and the National League - a distinction shared with his mentor, Sparky Anderson. Through 2006, La Russa's regular season managerial record is 2,297-1,986 (.536), including 977-803 (.549) with the Cardinals. He credits Paul Richards with first inspiring him to believe he could succeed as a major league manager. 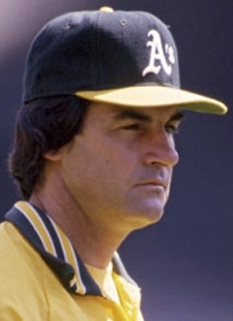 It was as a player with the A's that La Russa first met catcher Dave Duncan, who would join his coaching staff in Chicago in 1983. The two have worked together on every La Russa-managed team ever since, and he often credits Duncan as playing a key role in his success. 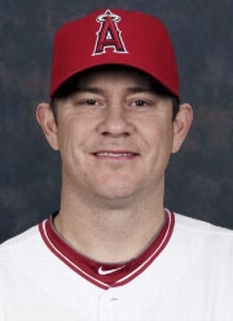 On August 4, 2007 La Russa lined up his pitcher Joel Piñeiro to bat in the 8th spot. Previously in the 1998 season, from July 9 to September 27 used the same method with his rotation. La Russa continued to bat the pitcher 8th throughout the rest of the 2007 season. La Russa has argued that he wishes a position player to bat in the ninth spot so that "there are men on base" for Albert Pujols, who bats third. On October 22, 2007, La Russa signed a two-year deal to remain with the St. Louis Cardinals as manager, which would extend his reign to a Cardinals' record 14 years. In 2005, La Russa was the focus of a book by sportswriter Buzz Bissinger. Bissinger's Three Nights in August delves into La Russa's role as manager during a 3-game series in 2003 between his Cardinals and manager Dusty Baker's Chicago Cubs, their longtime rivals. The book received much praise from both fans and critics, though some complained that Bissinger sets out to glorify La Russa's "old school" managerial style as a direct challenge to the statistical analysis theses of Michael Lewis's 2004 book Moneyball. As David Leonhardt of The New York Times wrote of the "stats vs. hunches" debate in an August 29, 2005 piece, "What makes this fight truly comparable to those that periodically roil the world of art history or foreign policy is that the differences between the sides are not as great as the sniping between them suggests. La Russa spends much of his time jotting down information on index cards and studying statistics in his office." George Will's book Men at Work likewise depicts La Russa and his long-time pitching coach Dave Duncan as making more use of statistical analysis than any other team in the major leagues. La Russa also provided the AI for a series of successful computer and video games, Tony La Russa Baseball (1991-1997). The games won numerous awards and featured "new" statistics selected with La Russa (and provided by prominent sabermetrics authors John Thorn and Pete Palmer) as tools for players as they managed their teams. La Russa and second wife Elaine are the founders of Tony La Russa's Animal Rescue Foundation, headquartered in Walnut Creek, California, which saves abandoned and injured animals as well as running programs to bring dog and cat visits to abused children, hospital patients, seniors and shut-ins. La Russa is also a vegetarian. The La Russas have two daughters Bianca & Devon and reside in Alamo, California. La Russa is also personal friends with celebrities outside the sports world, such as pianist and songwriter Bruce Hornsby, and jazz bassist Christian McBride. In 2007, at a concert in San Francisco on La Russa's birthday, Hornsby played a comedic song he named "Hooray For Tony". 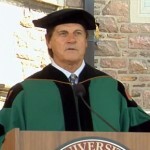 The original song, titled "Hooray For Tom", is La Russa's favorite Hornsby song. In the "Hooray For Tony" version, Hornsby mentions the "Bash Brothers" Mark McGwire and José Canseco (from La Russa's days as the manager of the Oakland A's), Albert Pujols, Jim Edmonds, ARF, and La Russa's World Series Championships. La Russa has Hispanic ancestry and speaks fluent Spanish. La Russa has an uncredited extra role in the film Angels in the Outfield. DISCLAIMER: PFP Sports Talent Agency does not claim to represent itself as the exclusive agent for Tony LaRussa. PFP Sports Talent Agency is a booking agency that represents organizations seeking to hire pro athletes and sports personalities such as Tony LaRussa for speaking engagements, personal appearances, product endorsements and corporate entertainment. Fees on this website are estimates and are intended only as a guideline. Exact fees are determined by a number of factors, including the location of event, the talent’s schedule, requested duties and supply and demand. PFP Sports Talent Agency makes no guarantees to the accuracy of information found on this website and does not warrant that any information or representations contained on this website will be accurate or free from errors. We are often asked how can I find out who is Tony LaRussa's agent? To find Tony LaRussa appearance fees and booking agent details, you can contact the agent, representative or manager through PFP Sports Talent Agency for speaking fee costs and availability. PFP Sports Talent Agency can help your company choose the ideal sports personality for your next marketing campaign. To hire Tony LaRussa for an appearance, speaking event or endorsement, contact Tony LaRussa's booking agent for more information.